The City of Lee’s Summit spent almost 20 years convincing residents and leaders that investing in its airport would be a winning move for the community. 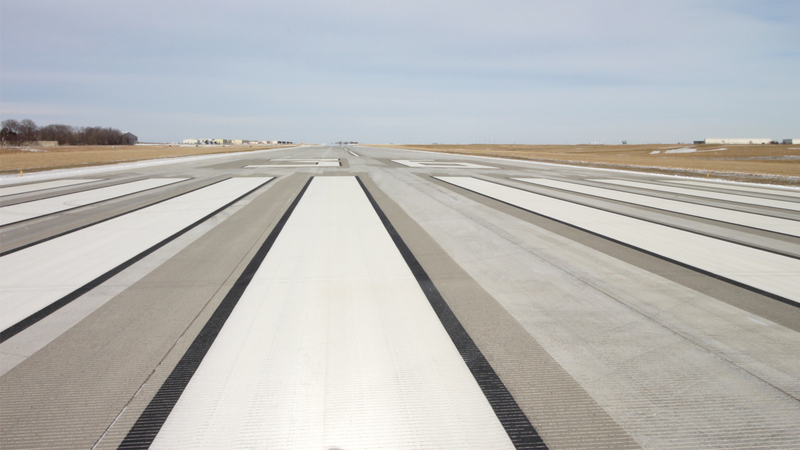 That persistence continues to pay dividends as the Lee’s Summit Airport Runway Improvements Project was recently named Project of the Year by the Kansas City Metro Chapter of the American Public Works Association (APWA). Crawford, Murphy & Tilly served as the prime consultant. “It took some time, but eventually we worked with the City to earn everyone’s trust by explaining the vital role the airport could play in improving the economic and social conditions of the city,” said Ty Sander, CMT project manager. The $18 million project included an expansion of the airport’s main runway, that is now providing business and corporate travelers improved access to the Kansas City Metro area and surrounding region. Its completion was described as a “game changer” by the mayor of Lee Summit, Randy Rhoads. The project involved overcoming many challenges related to land acquisition, earthwork and addressing FAA safety regulations, but the defining characteristic of the accomplishment was the city’s determination to win approval after many years of objections. When CMT was brought on board, they worked closely with the city to educate residents and stakeholders on the benefits of the proposed improvements and the opportunity to make the airport financially self-sufficient. In time, the public was won over and became proponents of the project. “There were certainly many technical achievements related to engineering, but the real story here is how an engineering consultant and a municipality were able to form a close relationship and accomplish something that for a long time seemed impossible. And in the end, it proved to be a win for the entire community,” Sander said.